Black Deer is a family friendly festival, however all persons under 18 must be accompanied by a responsible adult, aged 21 or over at all times. There is a limit of 3 under 18’s tickets that can be purchased with 1 Adult ticket. If you wish to purchase more than 3 under 18’s tickets then an additional adult will be required to attend the festival as part of your group. All under 18’s tickets must be bought in the same transaction as the accompanying Adult. Please note on entry all under 18s need to arrive at the gate with their parent or guardian over the age of 21. Yes. Each named ticket holder will need to show ID if asked by security at the gate. If you cannot produce ID you may be refused entry to the festival. All bars will operate a challenge 25 policy. You may be asked to provide ID at the bars. The bars reserve the right to refuse sale of alcohol to anyone unable to show valid Photo ID. Yes, every person attending Black Deer must have a ticket. Click here for all ticket types and further info. Yes, Day Tickets are now available, and can be found here. CAN I TURN UP AND BUY MY TICKET ON THE DOOR? We recommend you buy in advance to secure the best price and availability. If any tickets remain they will be subject to a higher on-the-door price tier. DO YOU OFFER A DEPOSIT SCHEME? HOW DOES THE TICKET TIERS WORK? We have a set allocation of tickets at each price tier – once they sell out we move to the next one. There is no difference apart from the price you pay – as tiers sell out the price goes up. So buy early and you will pay less! WHEN WILL MY TICKET ARRIVE? CAN I BUY A TICKET AS A GIFT? All tickets will have the name of the purchaser on them. You may gift your ticket to a friend or family member. ALL tickets have a unique barcode that is scanned upon entry to the festival. Once it has been scanned that barcode number will become void meaning the ticket cannot be re-used. WHERE CAN I BUY TICKETS FROM? Please be aware of touts and always purchase tickets from trusted sources. For Black Deer Festival tickets please CLICK HERE. The only authorised agents are Live It, AXS & Festicket. WHAT IF I BUY A TICKET FROM A RESELLER / SECONDARY TICKETING SITE? We do not recommend you buy tickets from a reseller or secondary marketplace. This includes the major sites such as Viagogo, & Stubhub. You will often pay over the price and can be left out of pocket. Tickets may not be as described, fraudulent, not be delivered or already have been used meaning you get turned away at the gate. All tickets have a unique barcode that is scanned upon entry to the festival. Once it has been scanned that barcode number will become void meaning the ticket cannot be re-used. 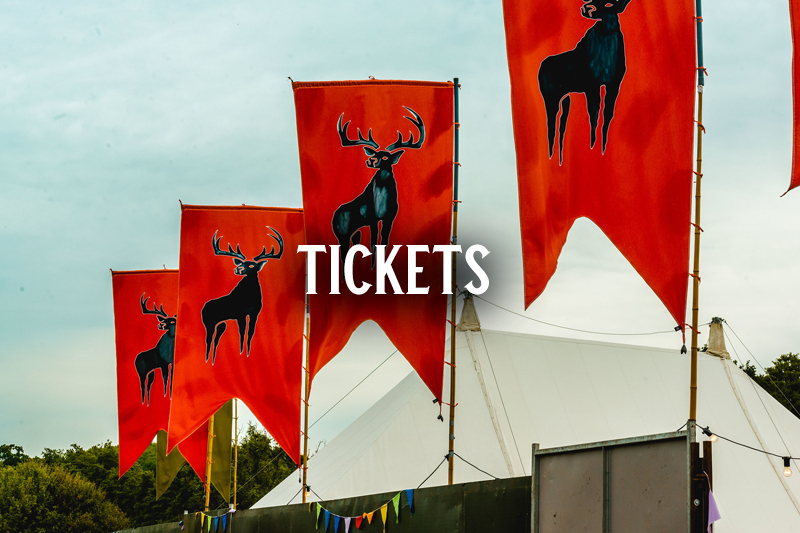 Black Deer Festival is not responsible or liable for tickets sold through unofficial or unauthoriSed sellers. WHERE CAN I FIND THE FULL TICKET TERMS AND CONDITIONS? CAN I VOLUNTEER AT THE FESTIVAL IN EXCHANGE FOR A TICKET? Yes! We are recruiting festival volunteers. Please visit the volunteer page for more details.